The Japanese may have mastered the art of pouring tea, but I like to think pulling the perfect cup of espresso belongs to the Italians. 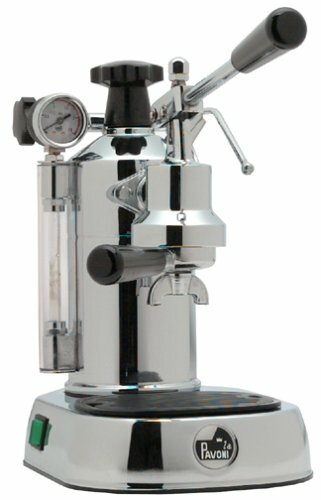 One of the favored espresso making techniques of Italian baristas is a lever-action machine, even beyond the modern pump-driven machines. This style made its debut in 1945 in Italy, developed by Achille Gaggia, the founder of the Gaggia brand. 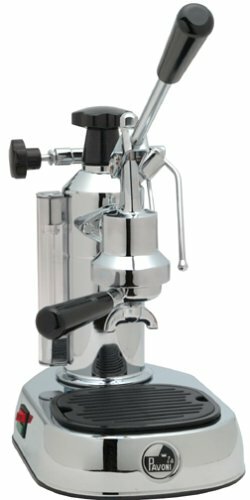 A lever machine is a manual method for extracting espresso. 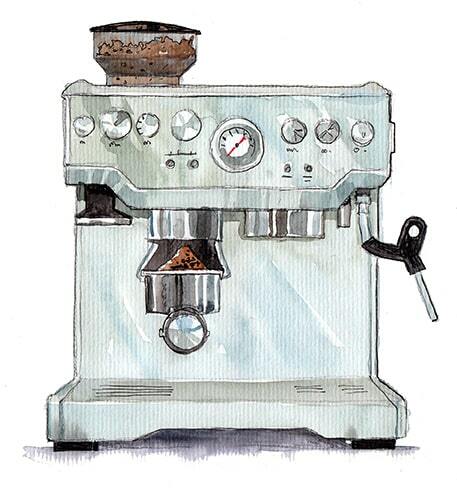 It is espresso making in it’s most essential and skilled form, no tech, no gimmicks. The Final Shot: For the best lever espresso machine, my pick is the La Pavoni EPC 8. It has all the essential functions in a well-made, sleek package. The price is affordable for this type of machine and the operation is easy to grasp and eventually master. This type of espresso machine has five basic components: 1) a water reservoir, 2) a heating element (in the water reservoir), 3) a portafilter (where the ground coffee goes), 4) the lever, and 5) a pressure gauge. Basically, the water is heated by the heating element in the water reservoir. The ground coffee is placed in the portafilter and compressed evenly and firmly using a tamper to get a good pack and then secured in the machine. The lever is brought down, the force of which pushes the heated water into the portafilter and through the ground, extracting the espresso into a cup waiting below. The pressure gauge measure the PSI (pounds per sq inch) of pressure is in the boiler during extraction. Ideally, this should be somewhere in the range of 8-10 bars for optimal extraction. Not all lever machines have this, but it’s helpful for honing and refining your technique. 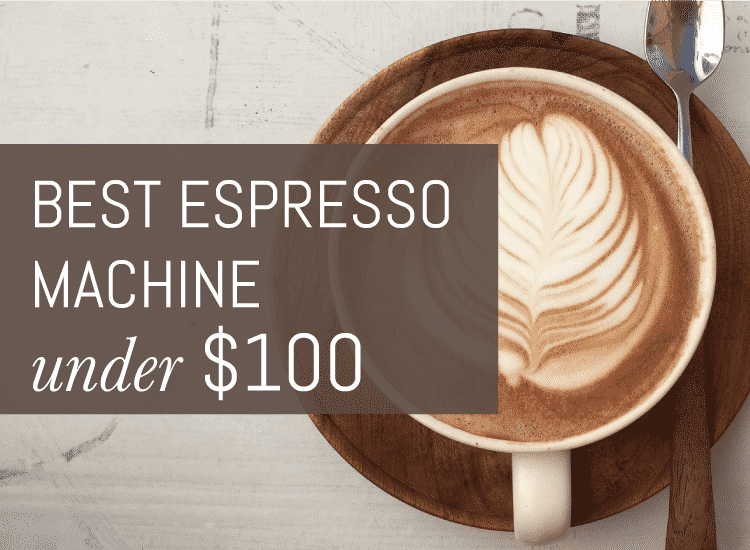 The lever machine is also how the term “pulling a shot” of espresso was coined – because the shot was actually pulled using a long handle/lever. Manual espresso machines do require some skill acquisition and you will have to spend a bit of time understanding the correct grind and tamp for the beans to reach the right balance and pull a great shot. After you become comfortable using it though, the whole process is really satisfying. 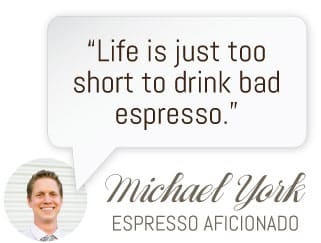 I am a bit of a purist when it comes to espresso and cappuccino, I enjoy the not only the taste of a quality coffee, but the entire process of that goes along with making the perfect cup, so understanding the best methods is important to me, including how to use manual techniques. 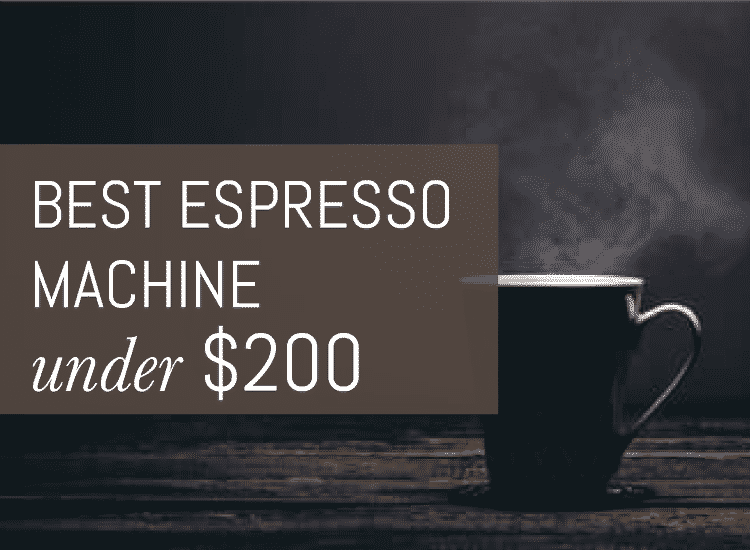 I explored and researched a range of lever espresso machines to understand how they function to create a great shot of espresso and what defines an excellent piston-driven machine. This list includes my top three picks. All of these machines are industrial, yet elegant (they look like works of art), and up to the challenge of delivering the perfect cup of espresso or cappuccino. The La Pavoni EPC 8 is a classic piston-operated espresso machine that looks like a sleek, streamlined piece of art. It is fairly compact, measuring 11’’ x 7’’ x 12’’ and able to fit comfortably under overhead cabinets. It features sturdy, stainless steel construction with three layers of chrome plating for an aesthetically pleasing AND ultra-durable look. The manual pull lever is smooth and satisfying to operate. The process of extracting espresso this way becomes intuitive with the La Pavoni, an almost second nature skill you can hone over a long weekend. It has a capacity of about 8 cups of espresso from the 20-ounce water reservoir. An internal thermostat monitors the brewing temperature. The boilers, water-level gauge and safety valve are all made of brass, while all the internal heating elements are stainless for ultimate longevity. This machine also has a built in frother for steaming and frothing milk for lattes and cappuccinos. The steam wand swivels and is pretty easy to master. Most everything on this machine is removable, including the black lever handle, knobs and drip tray, which makes cleaning and maintenance pretty painless and efficient. La Pavoni also offers a slightly upgraded model to this machine with an external pressure gauge so you can precision tune your skills for ideal extraction. Check out the next review to learn more. Warning: you may feel more Italian after your first cup. The La Pavoni EPC 8 has a stellar 4.1 out of 5 star rating on Amazon and is a favorite with new and experienced home baristas. It offers the same timeless design and sturdy construction, but is slightly larger and heavier. If you live in a space where counter top space is a treasured commodity and every inch counts, the smaller La Pavoni might be a better fit. The extra space accommodates a larger broiler, allowing you to pull up to 16 espresso shots, which is really convenient if you have a large family or you enjoy entertaining frequently. The most significant difference between the PC 16 and the EPC 8 is that this model has an external pressure gauge that allows you to monitor the pressure during extraction so you can modify your technique to achieve the ideal 8-10 bars. I have a pressure gauge on my pump-driven Breville and I really appreciate being able to see how well I’m grinding, packing and tamping the beans for ideal extraction. It’s made me a better home brewer. I also want to mention that this machine is available in a brass and wood finish that is reminiscent of an old Italian cafe. My wife is kind of in love with it and I don’t blame her. This is a little more expensive, but the PPG-16 is a showstopper. Overall the La Pavoni PC 16 is a great machine and has a solid user rating of 3.6 out of 5 stars on Amazon. The Quickmill Andreja is a premium espresso machine and as close to a commercial model as you can get without actually being a commercial model. It is a more complex, professional style machine and the largest of the products in this list at nearly triple the size of the others I reviewed. The Andreja weighs a hefty 55lbs and measures 138 x 210 x 189 inches. This is a great machine for a serious home barista with lots of counterspace, looking for a passion project. The Andreja is made of stainless steel and the outer casings are crafted one by one to ensure a high-quality, durable and beautiful product. The water tank is easily accessible through the hinged top cover and has a capacity of 46 ounces. It has 2 small floats that monitor the water level, emitting a beep when low and a flat line when totally empty. There’s an easy to access expansion valve on the top of the machine near the water tank, which allows you to adjust the pump’s maximum pressure and fine-tune your experience. The boiler pressure gauge on the front of the machine allows you to monitor pressure for water temp and steaming, and the group pressure gauge allows you to see the output pressure of your pump, so you can calibrate and adjust with a good deal of accuracy. Like the others, all the knobs and the 50-ounce capacity drip tray are removable, making it easy and efficient to clean. The 1.6 liter insulated single boiler is made of copper and housed in interior stainless casing that won’t rust and degrade over time. The no-burn steam and hot water arms are one of my favorite features, being able to touch the metal without the possibility of burning yourself is pretty impressive. They also have a great swivel for convenient steaming and frothing for specialty drinks. I also love that you can pull your shot and steam milk simultaneously for a quick cappuccino or latte. The Andreja also offers a heated cup warmer to pre-heat your espresso glasses prior to brewing, keeping the shot hot and the crema fresh. For full integration, you can also add a direct connect kit to pump water into your machine from your kitchen hook-ups. You’ll want to make sure you have high-quality water or add a filter because water plays a huge role in the success of espresso pulling. The lever on the Andreja is much smaller than the two La Pavonis. It almost feels like the flipping of a switch rather than a full size lever, but it produces the same great results. This is the priciest machine on our list. It is best suited to a home barista with some prior experience and an interest in learning advanced brewing techniques. The Andreja has a stellar 4.6 out of 5 star rating on Amazon. For the true coffee purist, lever espresso machines are the quintessential fine brewing experience with ultimate control over every step of the process. I hope this article helps you find the right fit for your needs and preferences!